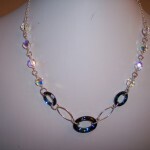 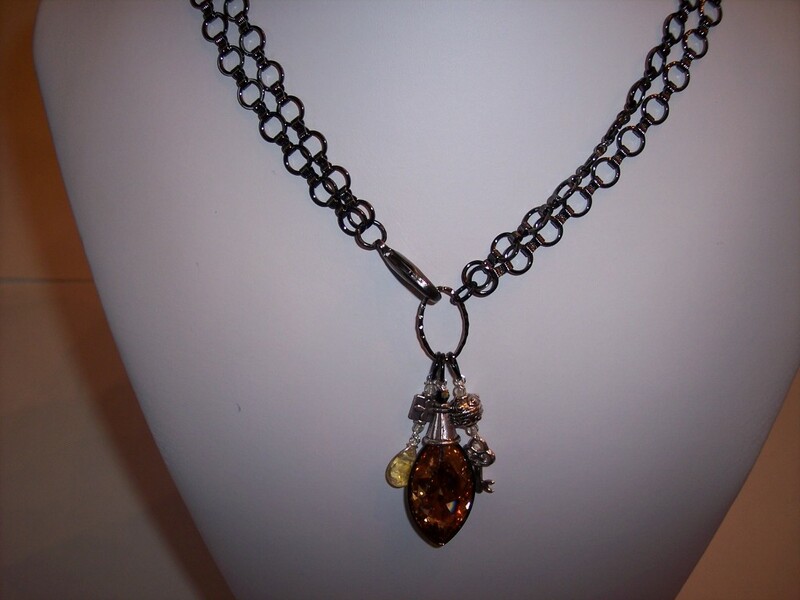 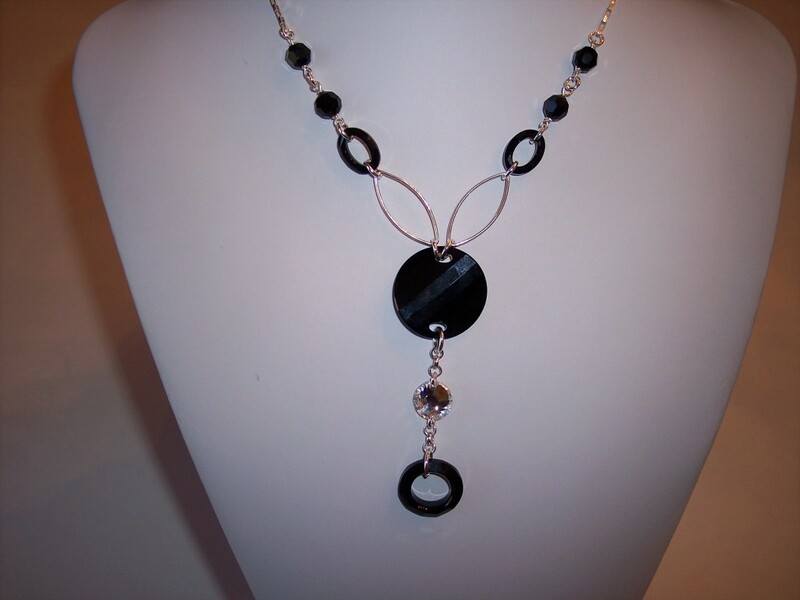 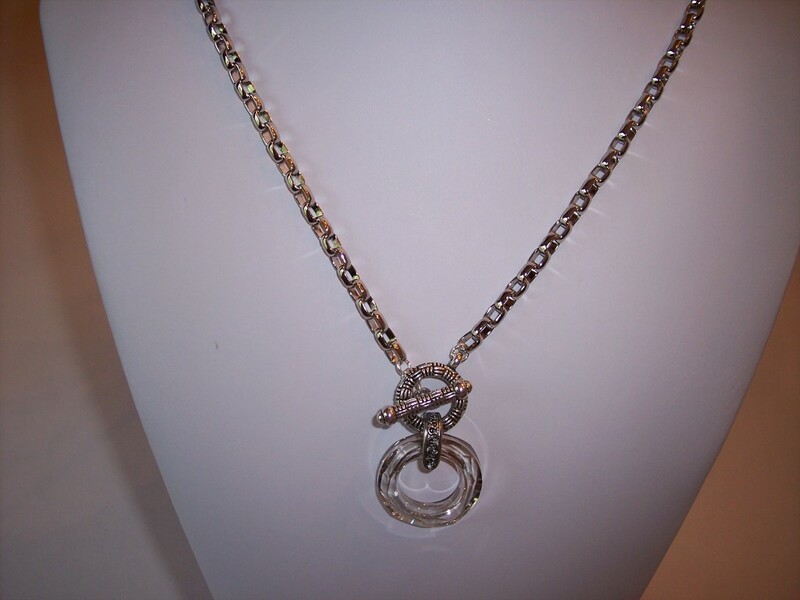 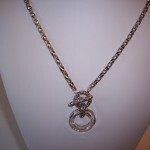 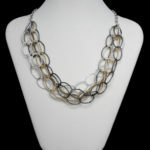 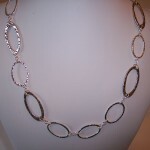 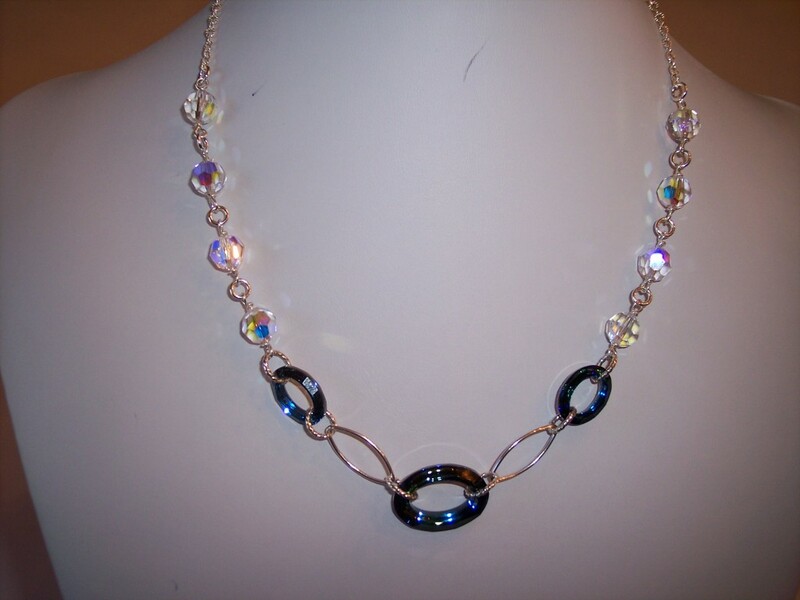 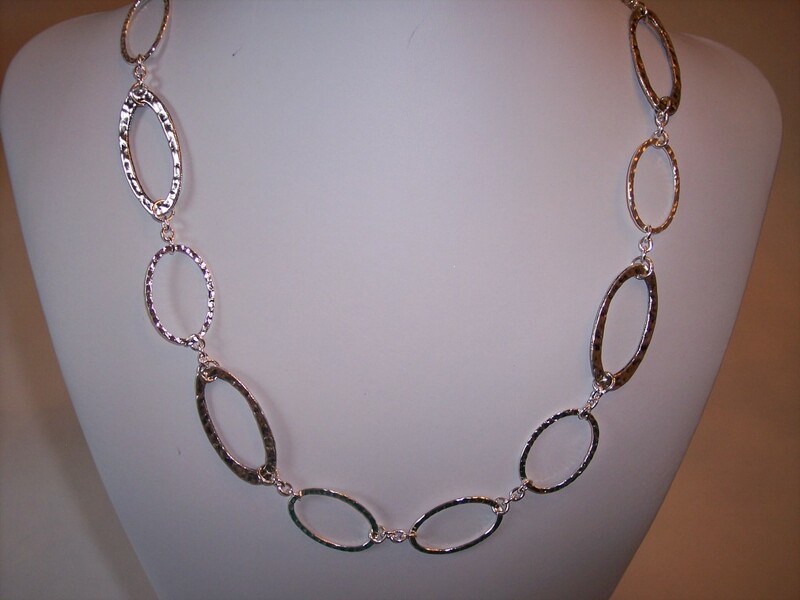 This necklace is designed with gold tone, silver tone and gunmetal braided chain. 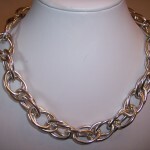 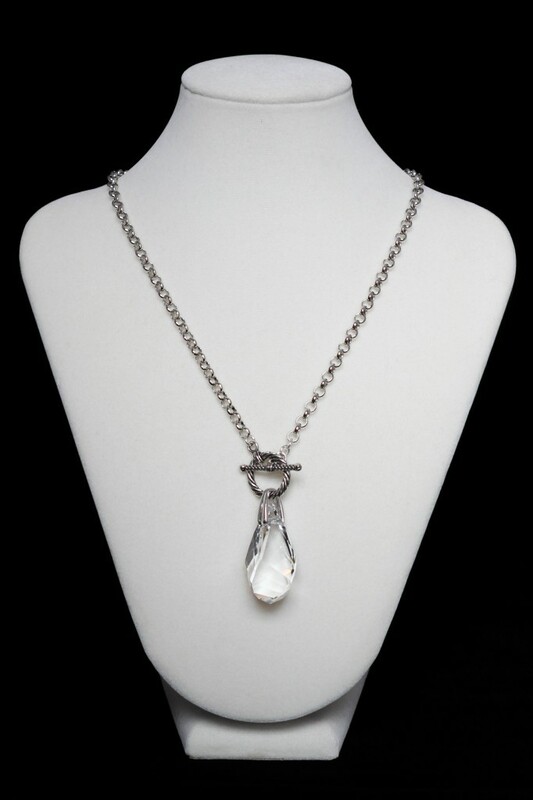 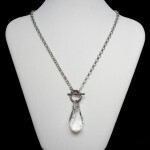 The fact it is designed with three different metals gives it maximum versatility. 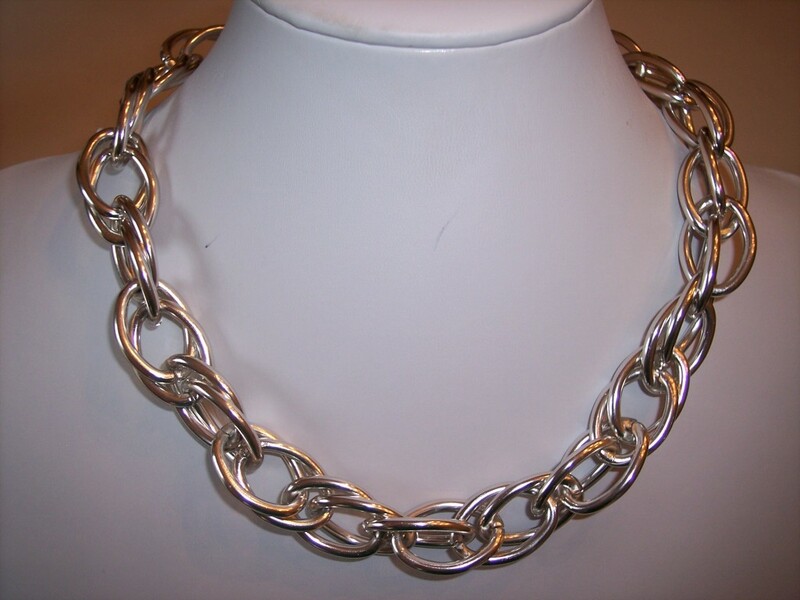 Length 20″. 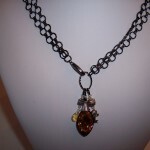 Pricing available upon request.